There is nothing more important to your organization than your people. Strong leadership of aligned, engaged teams is fundamental to success, and executive coaching is the best investment a company can make towards realizing its full potential. Turn with confidence to Executive Coach Global – a premier executive and leadership coaching firm. Here you will encounter uniquely qualified experts: International Coach Federation (ICF) accredited coaches with real-life business experience. Executive Coaches who enlighten, engage and empower each individual on your team to experience their genius and reach their full potential. A great coaching program propels the development of leadership, commitment and purpose to sustain your success long after we leave. Let us help your organization implement a coaching culture to create powerful team engagement, embrace collaboration, drive innovation, support retention and attract top talent in search of working for the best and being their best for success. EQAgilityInsights provides a comprehensive approach to enhancing leadership and professional development by integrating and blending leadership skills with emotional intelligence. This strategy provides deep insight into gaps and opportunities and provides the participant with the knowledge and empowerment to reach maximum potential as a leader to drive engagement, performance and innovation. We have discovered that skills alone don’t always make a successful leader. To learn more about the next generation of leadership and professional development contact us at anytime in confidence. Empower your leaders to succeed through executive coaching and leadership development. Coaching provides a tremendous opportunity for leaders across the organization to understand and address their gaps and blind spots in order to attain their fullest potential as a leader. Many leaders are recognized and promoted for technical skills without consideration of their leadership potential and soft skill development. Those skills are critical in leading engaged teams for success and achieving goals. Our ICF accredited coaches provide a comprehensive approach that includes action driven personal development plans, assessments for deeper insight and sustainable learning outcomes. Leadership for most of us is a learned art rather than a natural ability. Having an experienced leadership coach provides an opportunity to develop oneself and become an effective leader: how to drive innovation and performance in a way that gains trust and respect from team members. Leadership development and training is important at all levels of the organization: both new and existing leaders can develop their skills and adjust more effectively to current circumstances. We offer four leadership certification programs: Basic – Intermediate – Advanced- Executive. Developing an executive career pathway requires thought, focus, strategy, brand management and relationship building. Having a plan is the starting point for a successful journey that addresses how to move forward internally or externally. Our executive coaching team will work with you to map out a career pathway and support your transition for success. Team coaching helps people understand how to work better with others. It’s an effective method for showing teams how to reduce conflict and improve their working relationships. The team can then focus on its real work, and achieve its objectives. The team coach places the emphasis on interpersonal skills and interactions rather than individual development. Listening, communicating, respecting, trusting, and being accountable to each other are the foundational pillars of a successful team. Build trust and support. Strengthen peer relationships. Champion a coaching culture. Peer to Peer Team Coaching presents a great development platform for leaders who share common interests and similar challenges. Learning and working together, peers can help support each other in problem solving their own subsets of issues within their areas of expertise and professional responsibilities. The experience can be very powerful and rewarding and is facilitated by an experienced executive coach. This coaching model will breakdown silos and engage leaders to work together rather than rivals or at cross purposes. It will drive innovation, ideas and solutions. Performance Coaching and Development facilitates increased engagement and success with tools and techniques for a leader to achieve peak performance and have better execution. Performance Coaching can bring out the true potential and help improve someone’s productivity and effectiveness. Sometimes we just fall into a rut and drift into a zone that leads to poor performance and possible attitude issues. Re-establish harmony and a professional work environment. Embrace compromise and respect. Conflict is a common and frequent challenge within the workplace at various levels of an organization. While it most commonly develops between two individuals, broader conflict can spread among and between teams and departments. Nobody likes conflict and in particular most of us do not want to deal with it so we just ignore and hope it will resolve itself. Rarely does that happen. Conflicts left to fester invariably escalate and cause damage not only to the people involved but to their team and the organization as a whole. Leaders who adapt to a coaching style of leadership for with their teams are more likely to find success in meeting business objectives with less conflict , stronger engagement and more innovation. 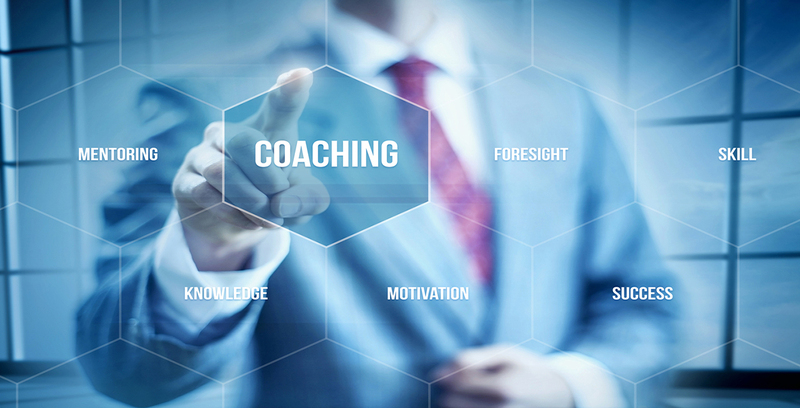 Our unique Coaching Intelligence for Today’s Leaders training is built on sound coaching principles endorsed by the International Coach Federation – ICF. This means coaches who are trained by us will have a deeper understanding and commitment to sustainable coaching within their organization and hours will apply toward ICF accreditation.